PLEASE NOTE: we supply at NHS National framework pricing, please enquire for more details. 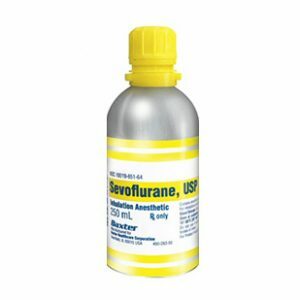 Sevoflurane Baxter 100% - clear, colourless liquid for vapour inhalation. Indications: Induction and maintenance of general anaesthesia in adults and children.